For many projects which encounter archaeological remains there is usually a presumption in favour of preservation in situ. There are a number of design solutions which can be applied to developments which avoid and therefore preserve archaeological remains. This is our starting point for designing archaeological mitigation solutions. Close collaboration with project architects and engineers and the use of pile foundations, raising ground levels, the careful design of open space and building position can significantly reduce the archaeological impact of a development project, reducing cost, risk and delay. If some archaeological recording is required, such as targeted excavation or watching brief, FAS Heritage can prepare project specifications in liaison with planning authorities. 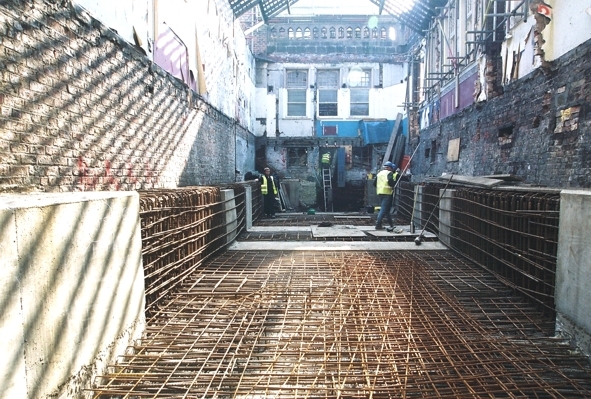 We are also able to manage archaeological sub-contractors and competitive tendering.